Are you searching for AAA approved auto repair near San Dimas? Johnny’s auto service is one of less than 5 percent of auto shops in southern California that are ranked as a AAA approved auto shop. 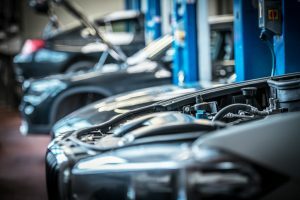 We understand it can be intimidating to choose an auto repair shop. Your car does so much for you, and it’s important to find a reliable shop to take care of it. That’s why we have ASE Certified Technicians and Service Advisors. This certification means that we are certified by the National Institute for Automotive Service Excellence on every mechanical and electrical component system. Why does this certification matter? When finding a shop, like Johnny’s Auto Service, that is ASE Certified, you know your vehicle is in good hands. Our shop is part of the 2% of repair facilities in the nation endorsed by AAA as a AAA approved auto shop for AAA approved auto repair near San Dimas. Johnny’s Auto service offers everything from oil changes, fluid exchange services, computerized wheel alignments, check engine light diagnosis, and so much more. Don’t just trust your vehicle to any shop. Give Johnny’s Auto Service a call for AAA approved auto repair near San Dimas. We understand that auto repair can be expensive. That is why we encourage AAA members to take advantage of the AAA approved auto shop discount that we offer. If you’re not a AAA member, no worries! We have a specials and coupons tab on our website to help you discover our latest offers. Becoming a AAA approved auto repair shop isn’t easy, but our shop has now had a 100% satisfaction rating with AAA for the last 3 years in a row. Our goal is to meet and exceed all your expectations out of an automotive repair shop. Trust the pros at Johnny’s Auto Service today and give us a call or request your next appointment online.